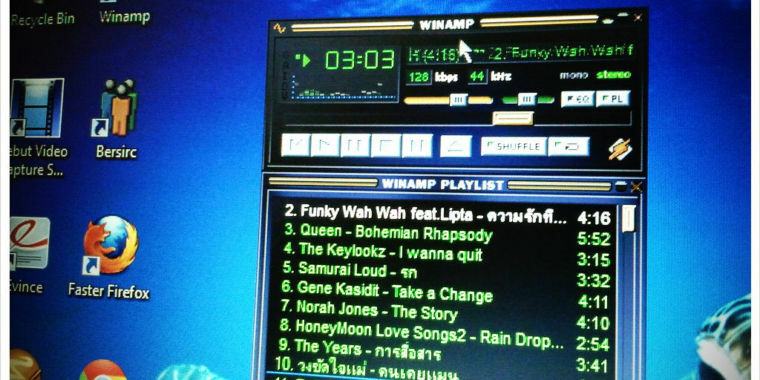 Rejoice, llama-whipping fans, a new version of Winamp is set to be released in 2019, according to a Monday report by TechCrunch. AudioValley, Radionomy’s parent company, did not immediately respond to Ars’ request for comment. The Belgian company that bought Winamp from AOL in January 2014 hasn’t really done much with it since buying the remnants of the property just months after AOL finally pulled the plug. Ars wrote an extensive feature on the rise and fall of Winamp in June 2012, detailing AOL’s mismanagement of the property since its dotcom-boom acquisition. As we reported then, Winamp continued to receive updates and make a tiny amount of money for AOL throughout the last 15 years. AOL even released the first Android version in 2010 and a Mac version in 2011.